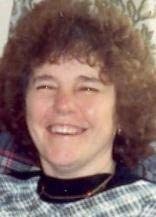 WATERLOO - Judith A. Bailey, 64, of Monticello, formerly of Waterloo, died at home Sunday, Oct. 2, from cancer. She was born Nov. 26, 1946, in Waterloo, daughter of Louis and Anna Brinkman Reiners. She married Ron Bailey on April 4, 1964, in Waterloo. Survived by her husband; three daughters, Peggy Bailey and Tracy Sproston, both of Monticello, and Tammy (Sonny) Gipe of Alburnett; a son, Mathew (Paula) of Greeley; 18 grandchildren; eight great-grandchildren; a brother, James (Karen) Reiners of Evansdale; and two sisters-in-law, Mary Helm and Donna Bailey, both of Waterloo. Preceded in death by a son, Steven Wayne. Services were 10 a.m. today at Greeley United Methodist Church, Greeley, with burial in Boslinger Cemetery, rural Colesburg. Kramer Funeral Home, Monticello, was in charge of arrangements.